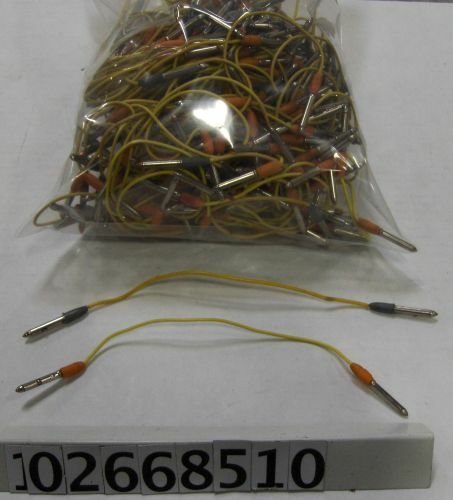 This object consists of a group of 223 yellow plugboard wires. There are 65 wires with gray ends and 157 with orange ends. Among the gray wires, there are two shorter doubled up plugboard wires, and one black wire with gray ends. There are also two cloth covered wires, one of which has blue ends.